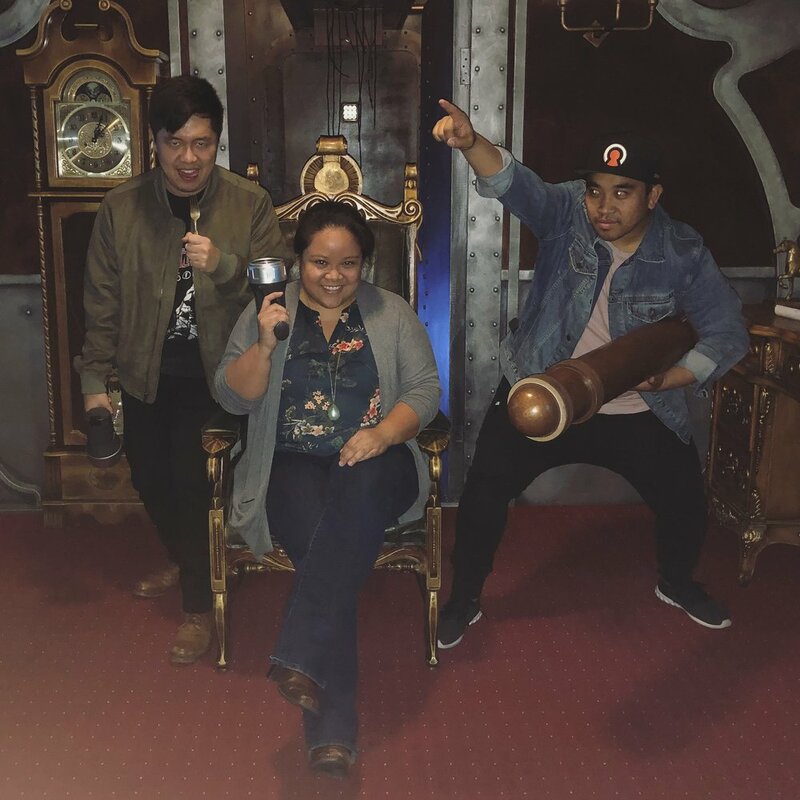 This escape room felt like a video gamer's dream. It reminded me of Myst on the PC, but instead of being on an island, you are in a submarine. The flow of the room was linear. It was so smooth and you had to go back to previous rooms to solve puzzles. The puzzles were challenging, but not difficult. My favorite part of the room was when we had to handle the torpedoes. You get to battle a Kraken and when you do, it feels like a video game. This escape room was Titanic 2.0 which is also associated with 60out escape rooms. It had the same feelings of fun and accomplishment after the escape experience ended. The lobby itself was a classic 60out orange, white and black, but the only difference was how spacious it was. The only issue about this location is how shady it felt at night. It's safe in the day time. I can only imagine how hard it is to find parking during the day, as well. This room was one of 60out's most recent rooms and it was incredible! Please play this room, you won't regret it!